How deep might be the romance in the lives of some of those who elbowed me daily in the busy streets of the town in which I resided. I had always felt a deep sympathy with the careworn men, who looked as if doomed to struggle through their lives in strange alternations between work and want. For a long time it seemed like Jane Austen got all the glory when it came to crafting Victorian romance novels. However, it seems that literary circles have picked up on Elizabeth Gaskell’s contributions to the genre within the past twenty years or so. Gaskell’s works are the perfect marriage of literary masterpiece and social history, and she focused on a broad range of social classes–predominately the poor–in a way that had not really been previously done at the time. Her other big claim to fame was being the first to write a biography about her good friend Charlotte Bronte. She was born Elizabeth Cleghorn Stevenson in London on September 29, 1810. Her father was a Unitarian minister. Gaskell was one of eight children, two of whom survived. (Her surviving brother John later went missing on a trip to India.) After her mother’s early death, she was raised in Cheshire, England, where she lived with an aunt in Knutsford. In 1832, she married William Gaskell, also a Unitarian minister, and they settled in the industrial city of Manchester, her home for the rest of her life. Motherhood and the obligations of being a minister’s wife kept her busy. However, the death of her only son intensified both her sense of identity with the poor and her desire to express their hardship, and inspired Gaskell to write. Her first novel, Mary Barton, was published anonymously, and due to much turmoil in 1848 brought the grim novel about bitter class hatred and retaliatory murder sanctioned by trade unions immediate success. It also caught the attention of Charles Dickens and Thomas Carlyle. Dickens went on to invite her to contribute to Household Words, one of his magazines. Cranford, Gaskell’s next major work was chronicled in the magazine beginning in 1851. Gaskell’s work brought her many fans, including Charlotte Brontë. When Brontë died in 1855, her father, Patrick Brontë, asked Gaskell to write her biography. The Life of Charlotte Brontë (1857) was written with admiration and covered a huge quantity of firsthand material with great narrative skill. Among her later works, Sylvia’s Lovers (1863), dealing with the impact of the Napoleonic Wars upon simple people, is notable. Her last and longest work, Wives and Daughters (1864-66), concerned the interlocking fortunes of two or three country families and is considered by many her finest work. Gaskell, unfortunately died before it was finished. I stumbled onto Gaskell’s work after spending several weekends watching both North and South and Wives and Daughters on Netflix. I have the rest of her works on my list of “Things I must read.” I find her style to be invigorating and passionate in a way that feels very modern compared to some of her contemporaries works from the time. (Wooo literature major for the win!) I also deeply appreciate her drive to chronicle the working class and the poor in a way that feels very natural and realistic as opposed to some of the more romanticized renderings at the time. (I’m looking at you Dickens). I think the other thing I appreciate the most about her work is that she continued to write on top of being a wife and mother. 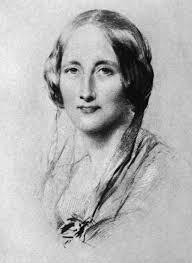 So many female novelists of the time, generally lived solitary lives and focused their energies on their writing (also completely admirable), but I wonder if Gaskell’s more human touch stems from the love and care she gave to her family. Gaskell has been one of my literary idols for a long time, so thank you for indulging my gushing about her.